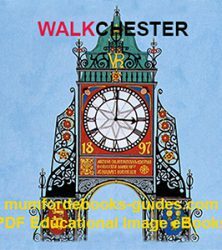 Walk Chester, with 209 illustrated pages, over 600 images of historic prints, and classical paintings, maps and up-to-date street photographs. Seeing each image in sequence helps you to understand history better. Plan your routes by using detailed street maps including the latest satellite maps. Chester was a Roman Fortress, still with its street plan. Now with a castle, town walls and 3 museums, with many car and coach parks to choose from. For holiday-time there’s Park & Ride. Everyone is catered for, including the disabled. The first 3-hour walk starts from the Roodee Race Course carpark, Watergate. There are 12 other carparks to choose from. Follow Watergate Street to the Cross, turn right down Bridge Street, Local Heritage Museum Bridge, Newgate and the Castle. Next is Military Museum and the next road is Grosvenor Street (Grosvenor Art & Roman Museum) Free with extensive Roman exhibitions. (Alternative venue for wet days). Allow 3 hours ending in Pepper Street • LUNCH BREAK there are many places to eat or picnic around St. John’s Church. The second 3-hour walk starts from St John’s church, next to the Roman military amphitheatre, routed by the City Wall, to Eastgate Street, just before the Cross, turn right into Northgate Street, Market Square and Town Hall, pass Cathedral Buildings right up Northgate Street, join the City Wall, Water Tower, ending at Watergate Carpark. Wheelchair access limited, a shorter route to museums via Castle Street, see map. You need to plan your routes in advance from carpark and back again, with good connections at Rail and Bus Station. 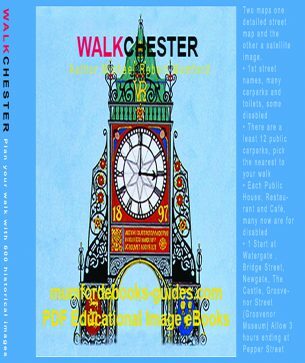 “WALKCHESTER” is an EXTRACT chapter 16 of 18 from Architectural Master Pieces: Art & Design in Architecture: made visible, 1,118 pages. 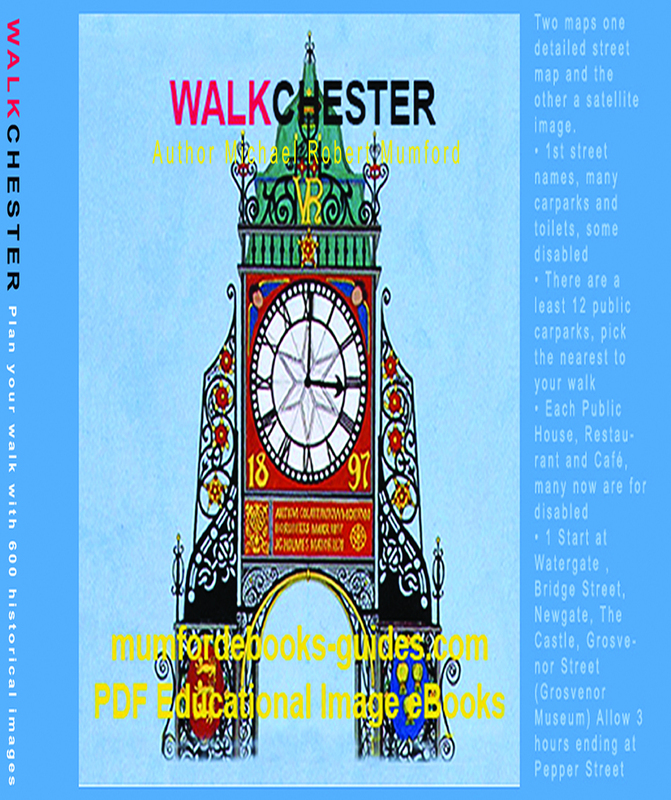 Lookout for “WALKSHREWSBURY” will be published in 2018. Try our generous FREE sample downloads with every eBook at Mumfordbooks. over the centuries. It praises some modern structures with good examples. Others are less than perfect due to their complex design.